This is an original production cel from a Walter lantz cartoon short. 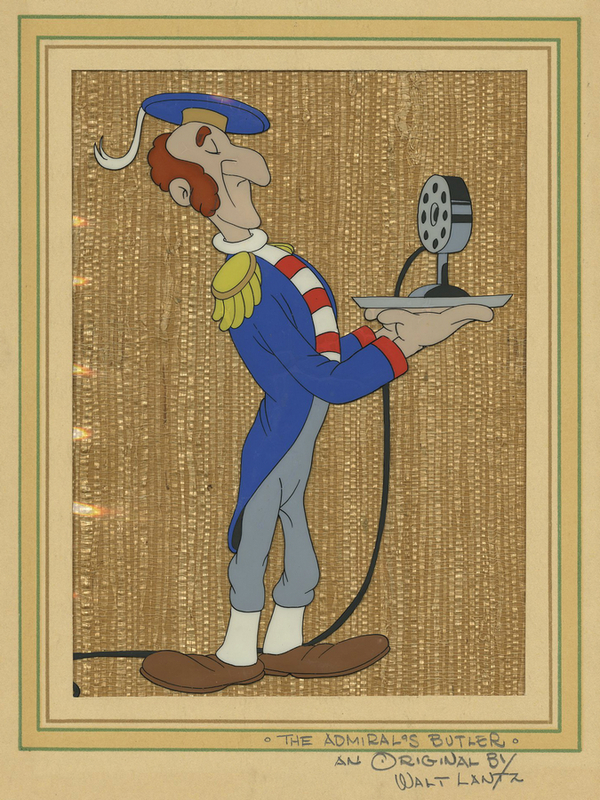 This very unique piece features "The Admiral’s Butler” from an early 1940s Walter Lantz short. After the success Courvoisier Galleries had in marketing the artwork of the Disney Studios, almost every major studio made their own attempt to market their cels. 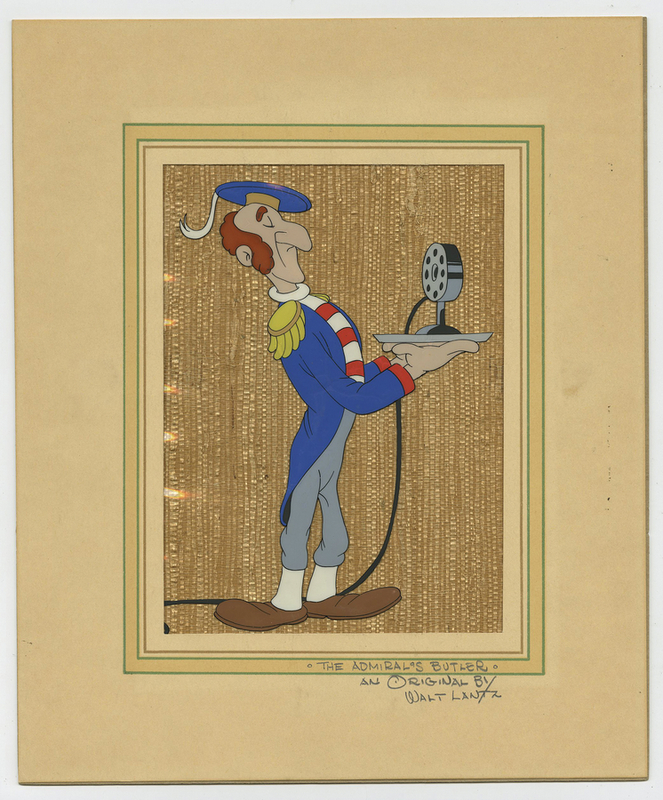 In the case of this particular cel, it has been trimmed to 8 x 6.5 in. and placed on a wood grain background with a custom mat. The mat is inscribed, “The Admiral’s Butler---an original by Walter Lantz”. A wonderful example of Lantz and Universal’s attempts to market the artwork generated in the production of an animated short. The entire matted piece measures 12" x 10". The Butler’s image size is 7" x 5". This piece is in good condition with some paint lifting and cracking, but all paint is intact.